The BIG IDEA Online: Willow Creek Is Using The BIG IDEA! Willow Creek Is Using The BIG IDEA! I got invited to a Zondervan authors dinner tonight and in the process got to connect with Randy Frazee. Randy is an author, teaching pastor at Willow Creek Community Church and a friend of mine. As we were catching up he tells me, "Oh yeah, did you know that Willow Creek is using The BIG IDEA process?" He continues, "The same week I got your manuscript (Randy did an endorsement for The BIG IDEA) I started passing it around to our team and we have implemented it." I have to admit that I wanted to say, "you mean The BIG IDEA we wrote?" Kind of cool to think that Willow is now getting on board with The BIG IDEA. The last thing Randy told me was that Willow started implementing the BIG IDEA with their current series called Fuel that focuses on the book of James. And it looks like they are doing it in a big way! Click HERE to take a look at how they have one BIG IDEA for adults, students and kids and also their Spanish speaking ministry. Wow, it sounds like us at CCC! Pretty cool to see the word is getting out and people are putting this to use. Its great watching ideas catch fire, and other churches "stealing" from each other. That makes us one big Church. I find it sweet. Want To Plan Your Big Ideas for All of Next Year? FREE Webinar on The Big Idea coming soon! 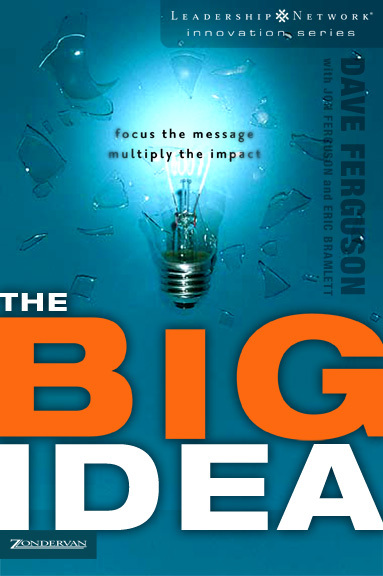 christian book publishers on Want To Plan Your Big Ideas for All of Next Year? Shelley on Willow Creek Is Using The BIG IDEA!